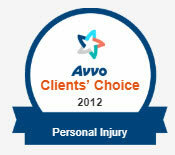 Medical malpractice, like all other personal injury cases, occurs when you are injured due to another’s negligence. However, medical malpractice cases are subject to more stringent laws that can present more challenges when pursuing a legal remedy. Medical malpractice generally occurs when a health care professional (doctors, nurses, physicians assistants, surgeons, and others) breaches the standard of reasonable professional practice in the medical care provider’s profession or specialty thereof through some act or omission. The standard of care for a health care professional is generally based on how another health care professional with similar qualifications would have behaved in the same situation that led to your injury. Establishing this standard of care often requires extensive case preparation and the use of expert witnesses. Medical malpractice insurers can be aggressive in defending the health care professionals, hospitals, and clinics they insure. Medical malpractice insurance companies do this hoping to discourage you from pursuing your claim or hoping to coerce you into accepting a settlement offer worth far less than what your claim is worth. If you or a loved one was the victim of a medical error your case deserves experienced representation. 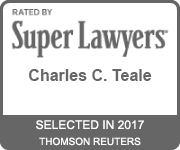 Teale Law has extensive knowledge of medical malpractice cases in New Hampshire, and will fight hard to get you the compensation you deserve. Please call 603-935-7425 today for a free confidential consultation. Medical malpractice claims are seldom self-contained, and can involve other areas of law and the need to identify and include third party defendants. Often, it may not be you that has suffered at the hands of a health care professional’s medical malpractice, but may be a loved one who is debilitated or even dies as a result. This leaves you with a claim for wrongful death that should be pursued immediately. 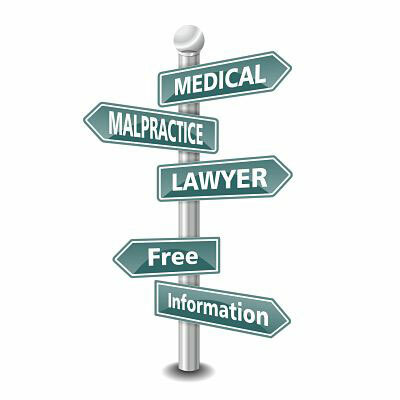 The causes and consequences of medical malpractice are many. Sometimes the effects are minor, but often they pose significant threats to health that can be long-term or even permanent. Teale Law will help you obtain economic (medical bills, property damage) and non-economic damages (pain, suffering, loss of enjoyment of life, loss of earning capacity) in your case. In 2012 New Hampshire passed what is often coined the “Early Offer” bill under RSA 519-C. If you have been injured due to the negligence of a health care professional you should be very wary of opting into this new alternative system, as you will be less likely to obtain a favorable outcome in your case. Under RSA 519-C, injured patients may opt into this system and accept an early settlement offer. Although this may sound enticing, there’s a catch; you will lose your right to recover all of your non-economic damages caused by medical injury, as well as your right to appeal any determination of your economic damages that you are unhappy with. Call Teale Law immediately if you have been injured by a healthcare professional’s malpractice. What are some common forms of medical malpractice? Misdiagnosis and delayed treatment resulting in a worsened injury or ailment. Surgical mistakes (anesthesia errors, perforating, severing, or otherwise injuring organs, objects left inside the patient, wrong-site surgery, even negligently mixing up patients and performing the wrong operation on the wrong person). Medication errors (poor doctor handwriting leads to a mistake in the prescription or the dosage, a failure to identify all of the medications that you are taking leads to adverse side effects when another medication is prescribed, prescribing medication to the wrong patient). Errors made during childbirth that can lead to birth defects, brain injuries or the death of the child, the mother, or both. Criminal activity within the healthcare provider’s facility (employee stealing or diverting pain medication). Mistakes made by medical personnel are only part of the problem. Closely related to medical malpractice is another phenomenon, hospital negligence (the two often happen together). Examples of hospital negligence are numerous: If a hospital administration is negligent in the hiring, training, supervision, or termination of its personnel, a poorly qualified doctor or surgeon may be on staff and cause harm to patients; If hospitals, doctors’ offices, and clinics fail to provide sufficient staffing, a fatigued health care professional working too many hours may miss an important detail during an operation; If a health care facility hires a negligent contractor to clean linens a fungal infection can occur. What can you do if you believe you are a victim of medical malpractice? Pursuing a medical malpractice claim is not something that you should attempt on your own. You also should not entrust your medical malpractice claim to an attorney who lacks experience as a medical malpractice settlement negotiator or, if need be, an in-court litigator. Medical malpractice law can be difficult to understand and complex to apply, requiring long hours of investigation and preparation. Teale Law will provide you with a free consultation and, in most cases, will work on your case for free until you are paid. The starting point of your potential medical malpractice claim is to consult with an attorney who has experience with New Hampshire statutory law and procedure governing such claims. Every medical malpractice case is unique. 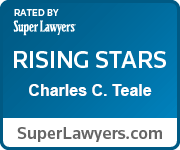 Attorney Charles Teale will listen, ask you the right questions, assess the strength of your claim, and provide insight and additional legal considerations you must be aware of when pursuing your medical malpractice case. Contact Teale Law today at 603-935-7425 to arrange for a no-cost initial case evaluation and consultation with an experienced medical malpractice attorney regarding your medical malpractice claim.